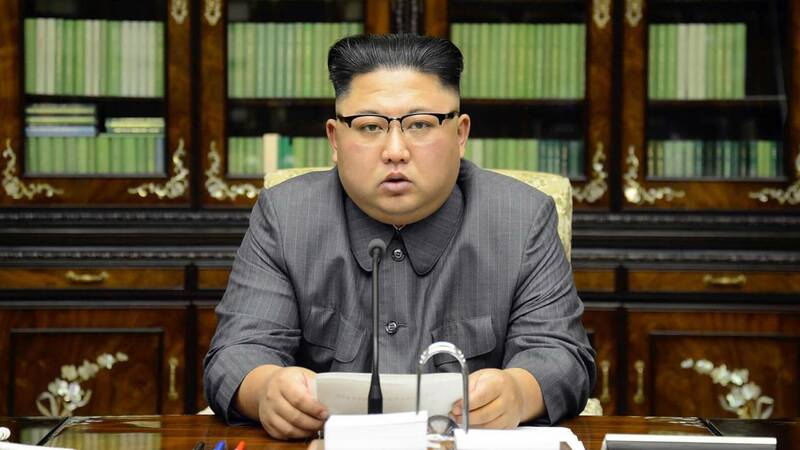 (CNN) - North Korea's pledge to freeze missile launches during talks with South Korea is a marked departure from last year's barrage of missile and nuclear weapons tests. In 2017, the country launched 23 missiles, including its first intercontinental missiles that it said had a long enough range to reach the United States mainland. At the same time, Pyongyang boasted that it was perfecting the technology to top a long-range missile with a nuclear warhead, increasing the threat to the US as a potential target. The first missile Kim fired in 2017 flew over Japan as the new US President Donald Trump met with Japanese Prime Minister Shinzo Abe at Trump's Mar-a-Lago resort in Florida. It was the first North Korean missile of the Trump administration and set the scene for a series of launches that sent missiles higher, further, and with enough power to put most of the world in range. Barely a month went by without a missile launch. In March, North Korea tested a new rocket engine which state media said represented a "great leap forward" for the country's rocket industry. In April, as Trump prepared to meet his Chinese counterpart, President Xi Jinping, North Korea fired another ballistic missile off the coast of the Korean Peninsula. But it wasn't until July, when North Korea fired its first intercontinental ballistic missile (ICBM), that North Korea sent clear evidence that its missile program was developing quickly. The Hwasong-14 launched on July 4 -- Independence Day in the US -- flew on a steep trajectory, 2,800 kilometers (1,741 miles) above the Earth, before splashing down in the sea off the Korean Peninsula. Analysts said if the missile were to be fired on a standard, flatter trajectory, it would be capable of reaching Alaska. North Korea followed that with a second ICBM test on July 28, which South Korea's joint chiefs of staff said was more advanced than the July 4 launch. For a start, it went even higher, some 3,700 kilometers (2,300 miles) above the Earth, which suggested it could reach major US cities such as Los Angeles, Denver and Chicago if fired on a flatter trajectory, experts said. North Korea followed up that launch with a sixth nuclear test, its first of 2017. The explosion created a magnitude-6.3 tremor, making it the most powerful weapon Pyongyang has ever tested. Hours before the test, North Korean state media released pictures of the country's leader, Kim Jong Un inspecting what it claimed was a nuclear warhead being placed inside a missile. On November 29, North Korea claimed to have successfully tested a new type of intercontinental ballistic missile, topped with a "super-large heavy warhead," capable of striking the US mainland. North Korea's greatest nuclear advances have come under leader Kim Jong Un, who has tested more missiles than his father and grandfather combined. The tests are thought to have been timed for maximum political impact -- a May launch coincided with the One Belt One Road summit in Beijing, an important project for Chinese President Xi Jinping, and a February launch happened as Japanese Prime Minister Shinzo Abe was visiting US President Donald Trump. And the ICBM test came on July 4, Independence Day in the US. In 2017, both US and South Korean authorities said they believed Pyongyang would be able to pair their nuclear and missile capabilities sometime in the new year. Most weapons experts believe the world will not know with certainty if North Korea can launch a nuclear-armed ballistic missile until they actually do so.